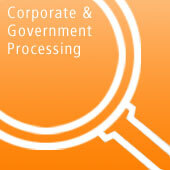 Corporate and government purchasing cards are increasingly being presented for payment of purchase orders and invoices. These Visa/MasterCard credit cards are issued to corporate/government employees to allow them to purchase goods or services for their employers (e.g. to pay for travel and entertainment expenses). Although they were used first by large corporations, small businesses and government departments are using these cards more and more frequently. Normally, purchases made with these cards do not attract the low Qualified Discount Rate. Instead, they are treated as Non Qualified transactions, and the merchant must pay a surcharge of 1.50% to 2.00% on top of the standard Qualified Rate. For a discussion of discount rates, see our article A Brief Primer on Merchant Account Discount Rates. The surcharge is not the result of the processor having to assume additional risk. Rather the higher rate is levied because the corporation or government wants more data about the transaction – in order to better track how their employees are using the cards. For example, corporations require that an invoice number and sales tax information be passed on to the corporation. If the corporation or government does not receive that information, they have to do a manual match of the transaction, which is very costly. So Visa/MasterCard provides a negative incentive to merchants to comply. There is a solution however – one that should be adopted by those merchants whose corporate/government sales comprise a significant percentage of their transactions. If the merchant provides his processor with the additional information about the transaction, the transaction will not be downgraded to Non Qualified – and he will instead enjoy the normal Qualified Rate (thereby saving 1.50% to 2.00% per transaction). There is no additional cost to the merchant for a Level 2 (corporate card) or Level 3 (government card) account, but they do need a processor that is set up to receive the additional information – and have a terminal, software program or internet application that can pass that data to the processor. Total Merchant Services (“TMS”) can set you up with such a processor. Please read on. 2.24% discount rate plus 25 cents per transaction, with a $25 monthly minimum. $10 per month statement fee. No application, setup or annual renewal fee. Level 2 processing requires that the merchant enter prompts for customer code and tax amount in addition to the standard payment information for Address Verification. TMS’s special Level 2 merchant account will help your business manage your Interchange pricing qualification – thus lowering your cost of processing MasterCard and Visa transactions. Unlike a retail Level 1 account, a Level 2 account allows you to process both personal and corporate cards at the low qualified discount rate, without penalty. Level 2 pricing requires use of a compliant system that collects and submits the proper information through Interchange. TMS’s system for card-not-present (MOTO) Level 2 processing is the Windows-based PC Charge Pro software that is installed on your computer. MOTO Master Book and Ship Module allows pre-auth information to be stored until merchandise is shipped, eliminating the re-keying of information and providing a management tool for mail-order/telephone-order (MOTO) merchants. Technical and installation support is provided by the software manufacturer for the first 60 days free of charge. Continuing support is provided for $69 per incident or $169 annually. Tele-training (at $49.95) is a one-on-one 30 minute telephone training session designed to give an overview of the standard functions and procedures performed by the software. At the end of the session, you should be able to perform basic functions and navigate through the menus with ease. In addition, user guides can be downloaded to your PC without charge. Level 3 processing requires that the merchant enter required data in addition to the standard payment information. TMS’s special Level 3 merchant account will help your business manage your Interchange pricing qualification thus lowering your cost of processing MasterCard and Visa transactions. Unlike a retail Level 1 account and a corporate card Level 2 account, a Level 3 account allows you to process personal, corporate cards and government purchase cards, all at the low qualified discount rate, without penalty. Level 3 pricing requires use of a compliant system that collects and submits the proper information through Interchange. TMS’s system for card-not-present (MOTO) Level 3 processing is EC-Zone, a virtual terminal internet payment gateway. The set up cost for EC-Zone is $50, with a $25 per month gateway fee. TMS uses PC Charge Pro software for MOTO Level 2. The Omni 3740 can also be used for both swipe and keyed Level 2, and has the ability to program both in to the terminal. EC-Zone is the only way TMS can process Level 3, and only MOTO. For more information about Level 2 or 3 processing, please contact Total Merchant Services. Their website does not discuss Level 2 or Level 3 processing, so click on their Contact Us button and then send them an email for more details.